The grouse shooting season in Scotland is expected to be poor this year, with many estates delaying the start of the season and widespread cancellations of shooting programmes. This will have a severe effect on economically fragile upland areas. The poor season is a result of the exceptional weather conditions experienced in most parts of Scotland from March onwards, when there was very severe, late snow, quickly followed by extremely dry and hot weather continually over several weeks in May, June and July, which reduced the number of grouse breeding successfully. The cancellation of shooting programmes has highlighted the economic importance of grouse shooting to Scotland’s rural economy. The grouse season in Scotland is estimated to be worth £32m to Scotland each year. Sporting shooting supports 11,000 full time jobs in Scotland, of which 2,640 are in the grouse sector. Approximately 970,000 bed-nights are purchased by tourists, both domestic and international, keen to enjoy Scotland’s world class country sports. Despite local estates having to pick up the costs of lost shooting income this year, the grouse sector still plays a major role in propping up the rural economy. Businesses from pubs, hotels, shops and taxi firms in rural areas rely on seasonal income from visitors coming to shoot grouse. Two areas of Scotland which rely heavily on income from the grouse season are the Lammermuirs and the Angus Glens. According to a new poll covering five local estates in the Lammermuirs Moorland Group, the loss of shoot days this season will mean a reduction of nearly 550 man-days of seasonal work over a two-month period, with young people, pensioners and migrant workers losing out. The survey showed that, on average, each of the five estates in the Lammermuirs created 110 days of shoot employment. This seasonal work is in addition to the 45 full-time and five part-time jobs sustained by the five grouse estates throughout the calendar year. The area around the Lammermuirs benefitted from trade with estates worth £466,274 last year. Helen Savage, coordinator of the Lammermuirs Moorland Group, said: “For young people in this area, shoot days can be a first introduction to the workplace. It is the chance to earn a bit of extra money over the season, develop team skills and confidence and meet a wide array of people from all backgrounds. In the Angus Glens, a total of 941 businesses enjoy relationships with moorland estates. One survey of six estates showed that £4.7 million worth of trade was generated for a variety of local businesses by the season. Hundreds of jobs in the Angus Glens are supported by grouse shooting. The Gift of Grouse campaign is an initiative designed to highlight the importance of grouse shooting for Scotland, encompassing the economic, leisure, tourism and conservation benefits. A spokesperson for the Gift of Grouse campaign, said: “Moorland management continues whether or not shooting can take place. 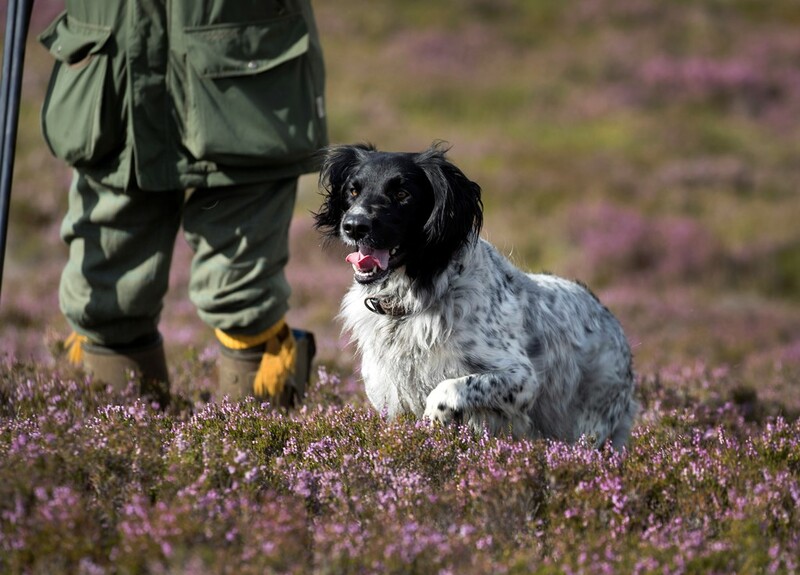 Gamekeepers work year-round to look after native species and this year again we are delighted to see evidence of many species of birds and other wildlife thriving in moorland settings. “Gamekeepers will always assess very carefully the number of birds on a moor before the season starts. If there is any risk of unsustainable shooting, they cancel the whole programme. Only surplus birds are ever shot. The decision to cancel some shoots is demonstrative of the responsible and sustainable management of grouse – red grouse is the only bird that is native to the UK alone and only lives on moors.